The US Global War on Terror and earlier US counterterrorism efforts prompted a variety of responses from Muslim states despite widespread Islamic opposition. Some cooperated extensively, some balked at US policy priorities, and others vacillated between these extremes. 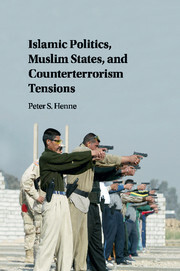 This book explains how differing religion-state relationships, regimes’ political calculations, and Islamic politics combined to produce patterns of tensions and cooperation between the United States and Muslim states over counterterrorism, using rigorous quantitative analysis and case studies of Pakistan, the United Arab Emirates, and Turkey. The book combines recent advances in the study of political institutions with work on religion and politics to advance a novel theory of religion and international relations that will be of value to anyone studying religion, terrorism, or Islamic politics. It also provides numerous insights into current events in the Middle East by extending its analysis to the Arab Spring and the rise of the Islamic State.